Succulents are a class of plants characterized by their thick, fleshy leaves, roots or stems. The plants’ specialized structures store water, allowing plants to survive through periods of prolonged drought or persist under harsh growing conditions. Though many are familiar with easily recognizable succulents like cactus and aloe, several less well-known nominees make good candidates for succulent gardens. Best known for its medicinal use in easing sunburn and speeding the healing of superficial cuts, aloe vera (Aloe barbadensis) is a member of the lily family. 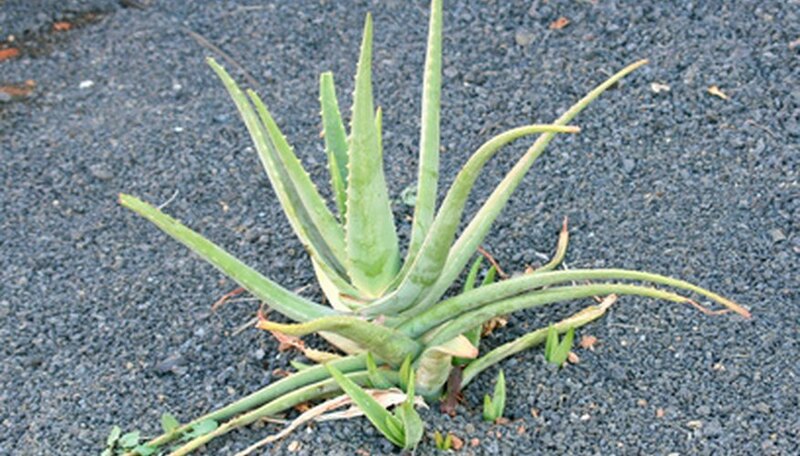 One of more than 180 species of aloe, aloe vera is a tender perennial which can be damaged by frost. North of USDA Zone 9, you should bring aloe vera indoors in the winter months and grow it in a loose, friable potting mix. Many of the more than 100 species of agave, or century plant, feature spiny, upright leaves. Popular for the species’ general ability to withstand extremes in temperature, prolonged drought and poor soil conditions, agave varieties come in many different sizes, textures and colors. Most species require full sun but little water or additional fertilizer to thrive. 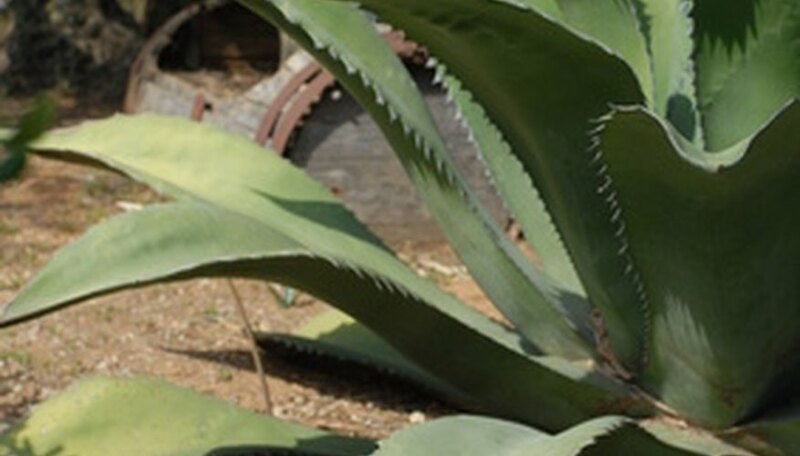 This plant family includes the agave harvested to make tequila. 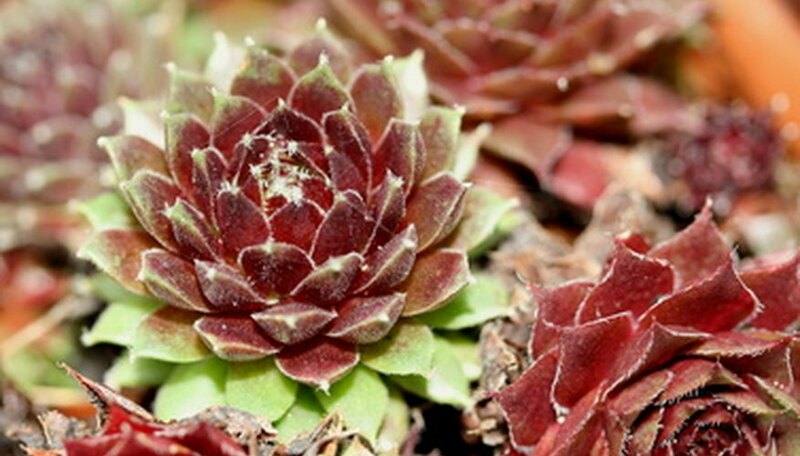 More than 1,000 species of hens-and-chicks (Sempervivium tectorum), a succulent garden favorite, grow around the world, though only several dozen are easily acquired through commercial nurseries. The plant’s habit of forming smaller rosettes around the main plant gives rise to its common name, hens-and-chicks, as it resembles nothing so much as a mother hen surrounded by her brood. Plants are extremely hardy, withstanding winter temperatures as far north as USDA Zone 3. This prickly-pear cactus (Opuntia humifusa) is one of a handful of native East Coast cacti, all belonging to the genus Opuntia. 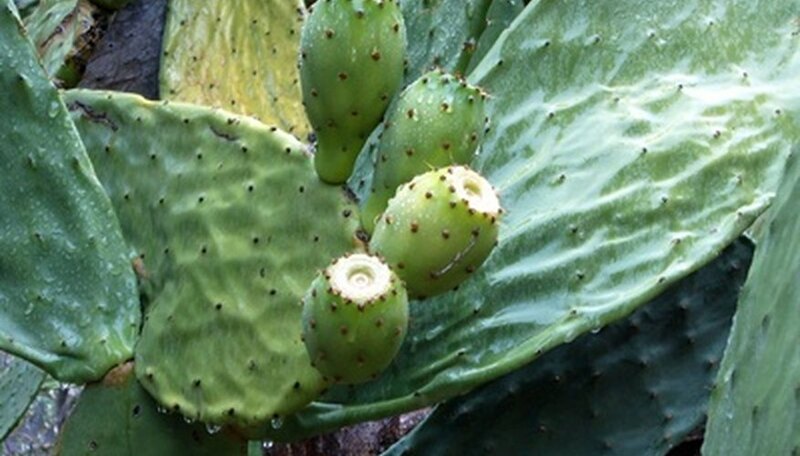 Extremely hardy, prickly-pear cactus grows with a sprawling habit, eventually forming clumping mats of flat, fleshy paddles which are studded with long spines and shorter bristles. The bright yellow flowers, which flower in spring, give rise to the edible “pear,” which turns a deep maroon color when ripe. One of the most versatile groups of plants for any garden, stonecrop (Sedum species) grows in full sun to full shade and with thick, fleshy leaves growing all along its short, trailing vines. 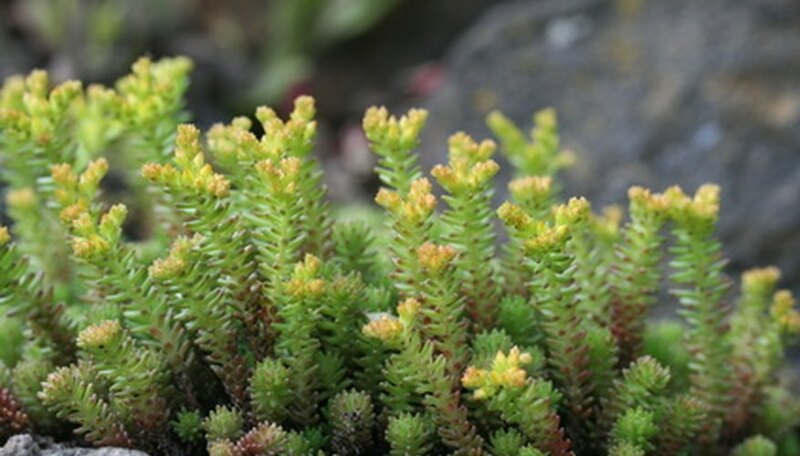 Stonecrop is suitable for use as a ground cover, in rock gardens or cascading over walls. Most varieties are very hardy, and in warmer climates remain evergreen through the winter. Plants perform best in rich, well-drained soils, but also tolerate a wide range of soil and moisture conditions. Living stone plant (Lithops species), a curious South African native, looks exactly like a smooth pebble. Plants grow at or just above the soil surface, and the thick, stubby “leaves” which protrude generally take on the color of the surrounding rocks and soil. Lithops are usually bifurcated, or divided into two distinct sections, though sometimes plants grow in clusters of six or more. In its native habitat, plants bear a sweetly scented, daisy-like flower once a year in the rainy season. Living stone plant is best grown as a container plant, though it can be moved outdoors during the summer months. How Can I Root Clippings From a Hens & Chicks Plant?